When the Spider putter was introduced a decade ago by TaylorMade Golf, few could have imagined that the model might still be around today. Putter models often come and go in the industry but it did not take long for the sub-brand to take on a life of its own. 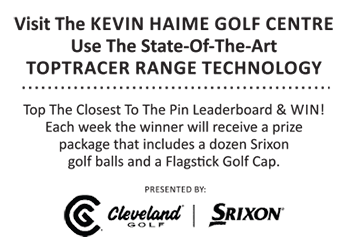 Not only has it become a success at retail but it also continues to be a popular option among professional golfers as well. Just look to the bags of golfers like Dustin Johnson and Jason Day as examples. Today the company officially unveiled the tenth generation of the Spider putter, the SpiderX, with new colours, a new frame, and an improved alignment system. It seems to take the past of past models and give it a modern edge that current day golfers will appreciate. 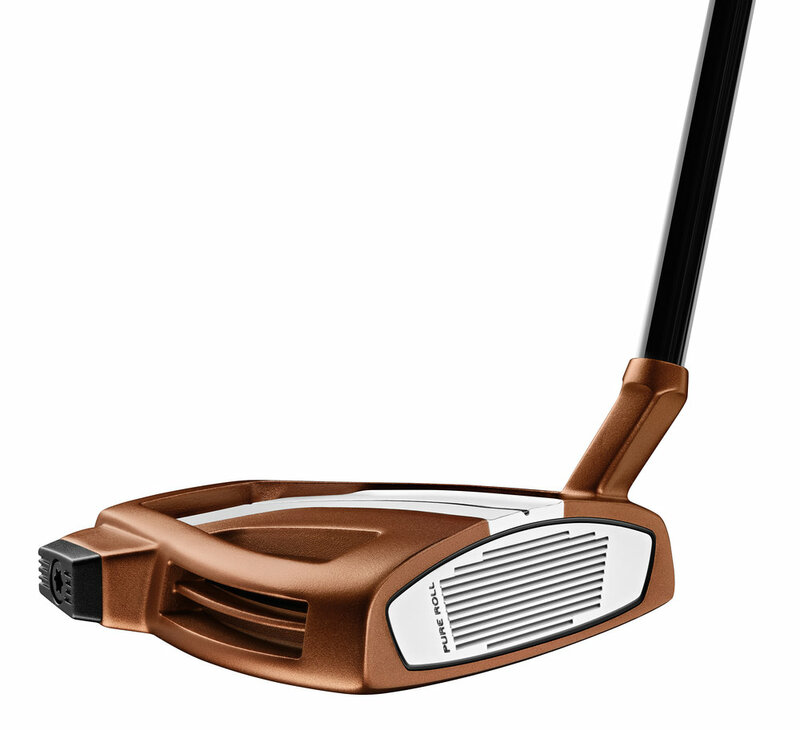 Outside of the aesthetics, the look of the SpiderX is all about visuals to help improve player alignment, leading to more made putt opportunities, according to the company. They say they studied more than ten thousand putts strokes from a distance of twelve feet and discovered that due to the parallax effect (created by viewing an object from two different perspectives) players have a tendency to hit more putts off the toe of the putter. That leads to less than optimal results as the clubhead can twist from that miss-hit and send the golf ball offline. The reaction by the company to the study? A re-engineering of the mass positioning in the putter and a new alignment system to aid the golfer. They call it ‘True Path’ and it involves a number of factors, including colour sensitivity. 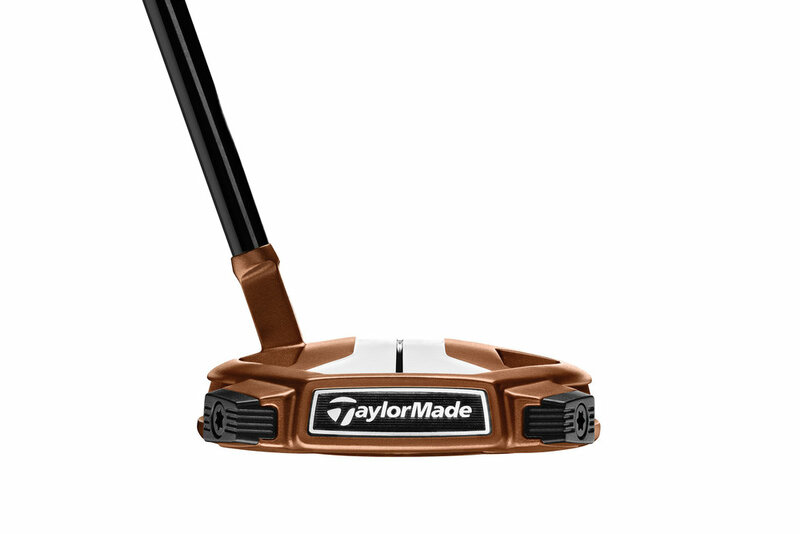 Golfers will also find that the new models are little more refined than the previous Spider Tour and Spider Mini models. The head is 5% smaller than previous models with more mass placed outside of the core clubhead area and the centre of gravity pushed back for greater stability. The weighting system has also been modernized with various options in aluminum, steel, and tungsten to help the player get a better fit and feel. You will also note that a thicker 5mm ‘Pure Roll’ white surlyn insert has been used for a different sound, feel, and roll. So When Can You Buy It? The new SpiderX will come to retail in Canada on February 15th. Both colours (copper & white and navy & white) come in left and right hand with the copper & white model sporting two neck options – short slant and single bend. The navy and white will only come in the short slant neck for now. Lengths of 33″, 34″, and 35″ will be offered with each putter featuring a SuperStroke Pistol GTR 1.0 grip. Suggested retail is $449.99 Canadian.